Resistance is growing, and with good reason—test mania delivers few benefits and often harms the students it’s meant to help. A hardy band of educators and parents have been complaining for years about the test-driven mentality of No Child Left Behind, which makes students’ prospects and teachers’ futures hinge on the outcome of high-stakes exams. Until now, decision-makers haven’t been listening, but the cheating scandal in Atlanta—where thirty-five teachers and administrators, including the former superintendent, have been implicated in a scheme to change students’ test scores—has emboldened the rebels to turn their complaints into action. Meanwhile in New York, the rollout of the latest big tests, based on new national standards, has generated a flurry of complaints. Parents have resisted by instructing their children not to take the exams. Gates held up for special ridicule a “Physical Education Evaluation Instrument,” used by the Ohio Department of Education, to assess gym teachers on (among other measures) how fluidly students can skip and how accurately they can throw a ball underhand. While this looks like a perfect shooting-fish-in-a-barrel example of test mania, his criticism is more than a little hypocritical, since Gates himself has been a driving force in promoting such metrics in every dimension of teaching. In 2009, Gates announced a $290 million donation to the Tampa, Memphis and Pittsburgh school systems, along with a charter consortium in Los Angeles, to implement a system that relies heavily on test scores in rewarding and punishing teachers. These districts were expected to devise quantitative measures for every subject—including phys ed. What’s more, Gates has poured millions into organizations like the Data Quality Campaign, the National Council on Teacher Quality and groups like Teach Plus, which advocate such hyper-accountability. The educators Gates lambasts were doing precisely what he was demanding. As Ed Week blogger and veteran teacher Anthony Cody tartly observes, the op-ed “dances around the disaster his advocacy has created.” A more candid Bill Gates would have acknowledged his conversion, much as Diane Ravitch did in her 2010 book The Death and Life of the Great American School System, when she abandoned the market-driven approach to education she had previously favored. Still, Gates has it right this time. His piece sends a powerful signal to the “no excuses” crowd: back off. And Gates is doing more than writing op-eds. He has joined forces with an old nemesis, the American Federation of Teachers (AFT), to promote a less test-driven approach to teacher evaluation. There’s a place for testing, but testing must be kept in that place. The new Common Core national standards, now coming into effect, offer an opportunity to recognize the mistakes of the No Child Left Behind era and get that balance right. Although there has been considerable grumbling over the new standards, their emphasis on hard thinking and creativity instead of memorization, and their attention to science and history, not just reading and math, make considerable sense. But measuring students’ performance is another, more vexing, matter. The New York protests were powered by the fact that tests based on the Common Core standards were administered despite the teachers not having been adequately briefed and students not having covered much of the new content. 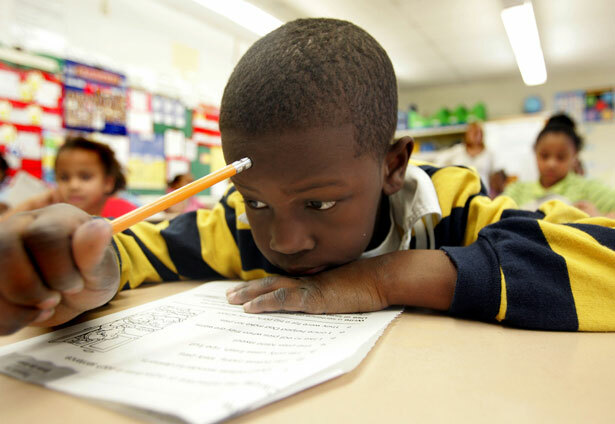 This inept use of testing shows the potential for mischief, which is why AFT president Randi Weingarten, a supporter of the Common Core standards, is seeking a moratorium on testing. Weingarten argues that such high-stakes decisions should be “held in check until states and districts develop—and carry out—implementation plans that include the time and resources necessary for professional development, curriculum, and instruction to fully reflect the standards.” Unless there’s effective pushback against New York–style exam mania, the new regime, intended to encourage independent and critical thinking, may backfire, spawning even more high-stakes tests and, consequently, more teaching only to those tests. Stopping that from happening must be the rebels’ next battle. In The Nation’s recent New York issue, Lionie Haimson and Diane Ravitch took an in-depth look at Mayor Bloomberg’s education record over his three terms.